Tony has been an accomplished solo artist since 1990 following his successful career with Spandau Ballet. He has seen a lot of the world and performed to a sizeable chunk of it – both live and via television and radio – but remains as enthusiastic and ambitious as ever, constantly welcoming new opportunities and challenges within music. This year Tony celebrates 25 years as a professional musician – an incredible achievement by any standards. As well as his love for song writing and recording, his real passion lies within the live arena – something he hopes will continue for a very long time – well, at least another 25 years anyway! As a solo artist Tony has worked with musicians and within musical areas that are extremely far-reaching and diverse. Also, he has worked with a variety of talented producers and musicians. Ron Nevison (one of America’s top rock producers with Heart and The Who) and Steve Lukather (guitarist with Toto) were involved in his very first solo album “The State of Play” recorded in Los Angeles in the early 90’s. Duran Duran’s Simon le Bon (Tony’s supposed archrival!) very kindly sang backing vocals on Tony’s version of Save a Prayer on the album “True Ballads”. This album also featured recordings of some of his favourite songs such as Slave to Love, She’s Gone and, one of the most beautiful songs ever written, Woman in Chains. He has also released three live albums – the first recorded at Ronnie Scott’s in Birmingham and the other two recorded with his long-time friends Peter Cox and Richard Drummie from Go West, and Martin Fry from ABC. Over the last 15 years he’s had the privilege of performing with orchestras across Europe and South America at events such as ‘The Night of the Proms’ and ‘The British Rock Symphony’, working alongside the likes of Joe Cocker, John Miles, James Brown, Shaggy, Alice Cooper, Jon Anderson (Yes) and The Alan Parsons Project. Since going solo, Tony loves nothing more than touring with his band – John Keeble, Phil Taylor, Phil Williams, Richard Barrett and Andrea Grant. This current line-up have now been performing together for many years and, recently have been joined wherever possible by the brass section – Simon Willescroft, Dan Carpenter and Dave Williamson. They all love being on the road, both as musicians and friends, and we can only imagine what goes on on that tour bus? 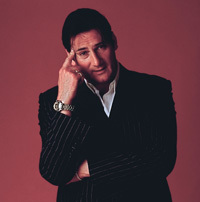 Tony’s versatility was further exhibited when he took to the stage at Rochester Castle in July 2004 with the 80-strong Royal Philharmonic Concert Orchestra. The highlights for Tony of this spectacular concert were singing Woman in Chains with the brilliant opera singer Alison Buchanan and belting out a fabulous rendition of Gethsemane from Jesus Christ Superstar. As well as the conventional shows Tony has played some extremely unconventional venues for British, NATO, and UN Troops on active service in Bosnia, Kosovo, Kuwait, Cyprus, the Falkland Islands and Northern Ireland. Aircraft Hangers, Tank workshops and even bombed out theatres to name but a few. Always keen to put something back Tony felt it was a real honour to be asked to entertain the troops, plus getting to dress up as a soldier is every young or old boys dream! Tony’s contribution to the music industry was officially recognised in October 2005 when The British Academy of Composers and Songwriters awarded him with a Gold Badge at their annual ceremony. Tony’s often on television and won the long-running TV show “Reborn in the USA”. Other highlights have included an acting debut in the BBC drama “Down to Earth” (for which he also co-wrote the theme tune – “After All This Time”), cooking up a storm on Ready Steady Cook, stock-car racing on Celebrities Under Pressure, ITV’s Greasemania and Elvis Mania, plus numerous other appearances on TV and radio. He’s now also a regular stand-in for Suggs (from Madness) on the Friday and Saturday night Virgin Party Classics show – DJ Tone! Tony is actively involved with several charities -The Shooting Star Children’s Hospice, UK Lowe Syndrome Trust, The Huntingdon’s Disease Association, Rhys Daniels Trust, Victims of Crime Trust, and Action Medical Research. In most cases, he performs a concert to raise money for the various charities. However, John Keeble and Tony recently appeared on Who Wants to be a Millionaire and won £64,000 for The Shooting Star Children’s Hospice, and over the past two years Tony has trekked to Macha Pichu in Peru and through the Venezuelian rainforest for Action Medical Research. As most people know, Tony is a keen footballer who, when time permits, loves to get on the pitch. He regularly plays for the Arsenal ex-11 celebrity team and in 2004 was delighted to be part of the squad invited to Florence to play in front of 40,000 Italian supporters at the Artemio Franchi Stadium. His team members included none other than Rod Stewart, Paul Gascoigne, Paolo Di Canio, Joe Jordan and a host of other top name celebrities. Keeping Tony and the guys under control was their manager Claudio Ranieri! In 2004 Tony released his autobiography “To Cut a Long Story Short” which achieved top ten status in The Times bestsellers’ list. The book charts Tony’s youth, his early days in the school band, the heady heights of worldwide super-stardom as lead-singer of Spandau Ballet, the acrimonious split of the band, and Tony’s life since. Tony has spent most of 2006 working hard on his long-awaited swing album with collaborators Paul Moran and Andre Jacquemin. He’s been intending to make this style of album for several years and hopes that his choice of songs, vocal and musical arrangements will delight not only his existing fans, but also some new ones. 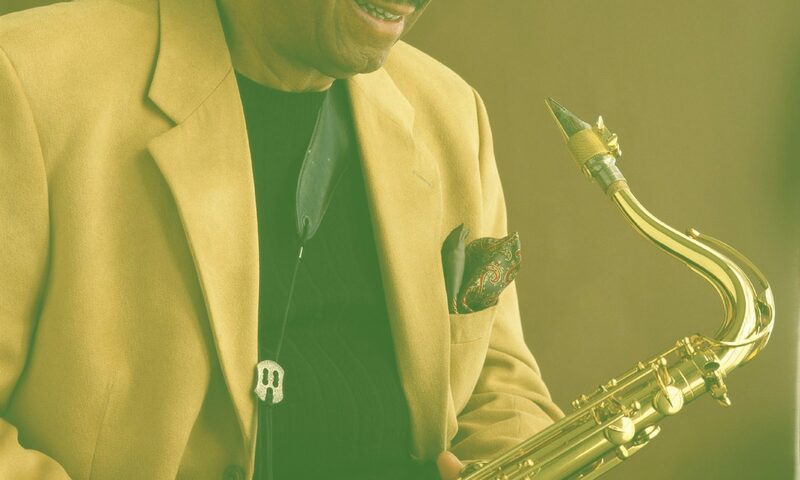 The album “Passing Strangers”, featuring a few of Tony’s favourite artists and musicians, has been released in October 2006, accompanied by a tour with a 17-piece big band. You’re probably thinking by the time you’ve read this biography that all Tony ever does is work! This is only partly true. Tony loves nothing more than spending time over a good meal and a glass of wine with his family and friends, especially his children Tom, Toni and Mack. He keeps fit by playing football, running, skiing and scuba diving, and enjoys going to the cinema and theatre whenever possible. Tony loves living life to the full … always has done and always will!